The purpose of E-GVAP is to provide for EUMETNET members ground-based GNSS (Global Navigation Satellite System) Zenith Total Delay (ZTD) estimates in near real-time (NRT) for use in operational meteorology. As ZTD is sensitive to water vapour E-GVAP provides additional water vapour information to weather models and meteorologists in Europe and beyond. That´s important, since water vapour is a key constituent in many weather phenomena, and varies strongly in both space and time. 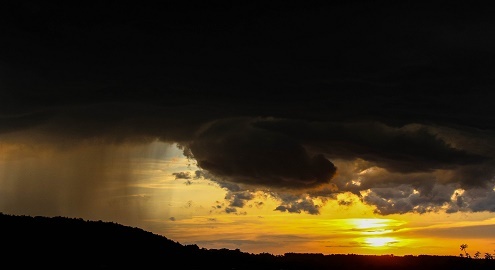 Water vapour is “under observed”. E-GVAP is helping to fill that gap. The main task of E-GVAP is first of all to provide GNSS ZTD data in NRT for usage in operational numerical weather prediction (NWP) models and for usage by forecasters. Secondly E-GVAP is to expand the GNSS network contributing to meteorology. Mainly as regards inclusion of new regions, but also as regards densification in regions. Thirdly E-GVAP is to help its members using ground-based GNSS data in their operations, which is done by sharing of results and howto´s from successful users. 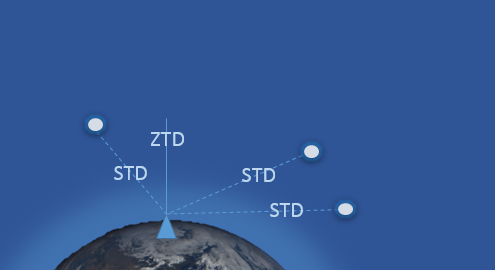 Also E-GVAP is to follow the development in ground-based GNSS meteorology, where several new techniques are emerging and gradually maturing, such as estimation and use of ZTD gradients, Slant Total Delays (STDs) and 3D water vapour from tomography. In the future they will lead to much more humidity information from the same number of GNSS receivers. Requirements are set both with respect to timeliness and precision of the E-GVAP ZTD data. 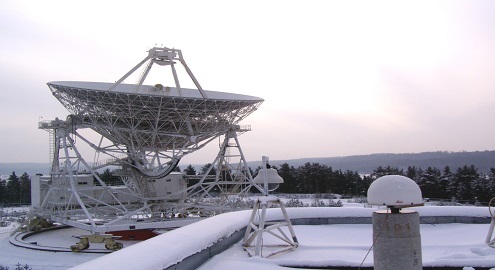 The EUCOS QMP monitors timeliness and precision of E-GVAP data in a similar fashion to the monitoring of other EUMETNET Obs Programme data. E-GVAP itself, as well as many of the analysis centres, performs more detailed monitoring. Part of the E-GVAP monitoring can be seen at http://egvap.dmi.dk select entry “validation”. Other parts require access to the E-GVAP ftp server. The current programme phase will last to the end of 2023. The Danish Meteorological Institute (DMI) has been the coordinating member since 2005. The programme itself is run in a collaboration between DMI, the UK Met Office and the Royal Dutch Meteorological Office (KNMI). The programme manager is Dr. Henrik Vedel, DMI. The real base of the programme is a tight collaboration between geodesy and meteorology. The vast majority of the raw GNSS data used E-GVAP come from geodetic institutes and private GNSS companies. 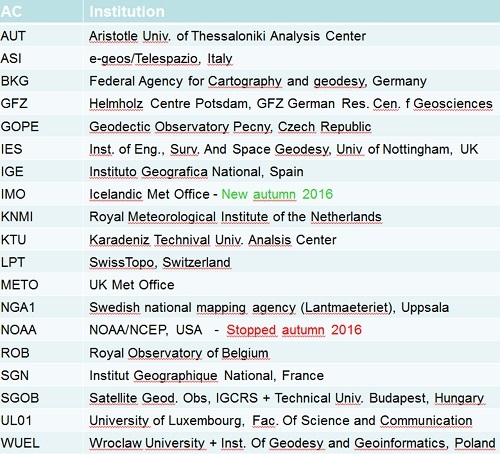 The majority of the GNSS data processing is done at geodetic institutions and universities, but also at a few met offices. 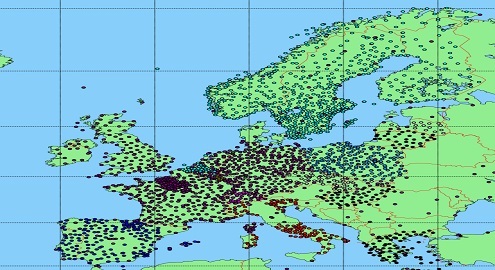 As several members run global weather models, and there is currently no global organisation of ZTD exchange, some E-GVAP analysis centres process also global GNSS data, and E-GVAP is expanding its collaboration with analysis centres outside Europe.